Acordes.mx historical owner info, name servers, Analytics ID, Adsense ID, Addthis ID, advertisers, screenshots, meta tags, whois, site and server info. Veja as cifras e tablaturas ou escute online as suas músicas favoritas no Acordes.mx. Temos acordes para violão, guitarra e teclado. 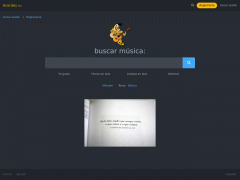 Sites related to Acordes.mx based on metadata.